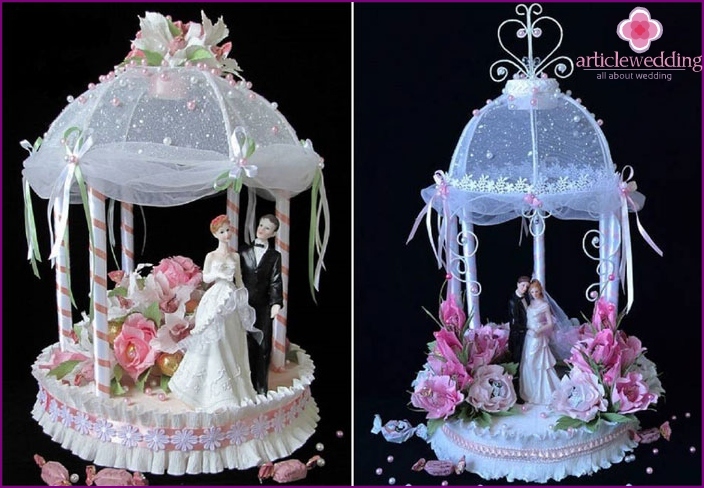 Wedding arrangement, made with the help ofcandies, can become part of the room decor unusual or original addition to a gift from the guests. If you want to give something unique, then stop for a sweet gift. The bride and groom will be pleasantly surprised by this surprise. Sweet masterpieces made with candy, you can order in the stores, buy ready-made or make your own hands. No holiday is complete without sweets andgifts. We propose to combine these components into a single composition for the wedding, which is used in the manufacture of candy. Such a gift will be unique, unique, made up according to your taste, color and style preferences. Candy composition for a wedding can be performed in different ways: in the form of baskets, flowers, crafts, hearts and other shapes, symbolizing a triumph. Shopping chocolates with flowers - an excellent optionas an accessory for a wedding gift from a dear guests. This attribute during the celebrations will attract a lot of looks, and it will be very memorable, and after the holiday will give the bride and groom the most delicious memories. Unusual candy gift will always be appreciated, will cause a lot of positives, especially if the couple sweet tooth. The composition in the form of a heart made up for the weddingusing candy - a very unusual gift. It is a beautifully assembled sweets, decorated with all sorts of materials. In preparing such a composition adhere to the principles of aesthetics and style of celebration, for which it is intended. By changing the design options, basic components, color combinations, you can get a lot of gift options in the form of heart. Use the candy you can create compositionsany shape, for example, in the form of wedding rings that will highlight the theme of the celebration. Such a sweet idea was born in the West and very quickly taken root in our country. Wedding engagement rings, made with the help of candies, very original. 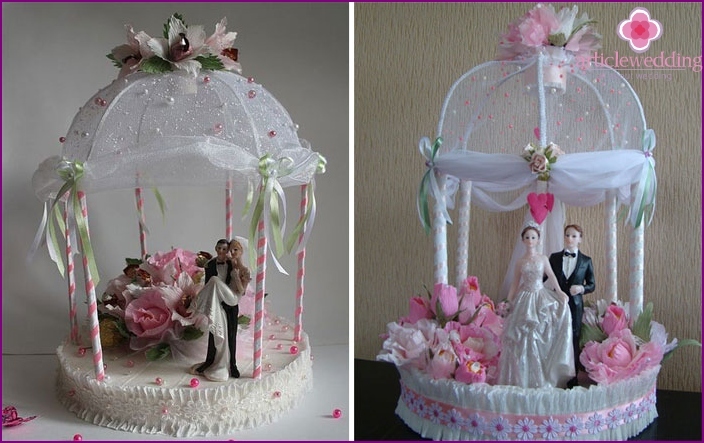 When creating them using artificial and real flowers, ribbons, rhinestones, feathers and other decorations. 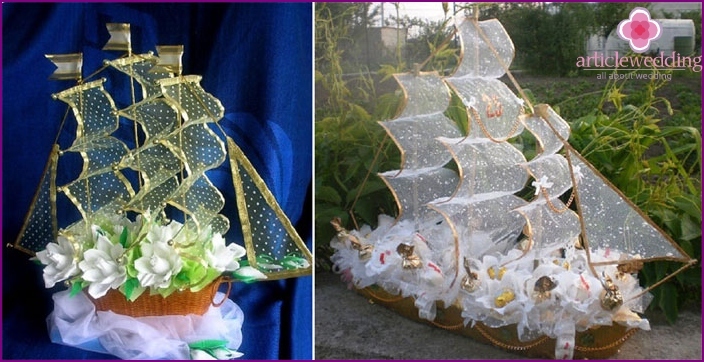 Excellent composition for wedding, composedwith the help of candies in the form of a ship - a symbolic beautiful gift. It is perfect for newlyweds, who have decided to stylize a celebration with a maritime theme. In addition, the ship - this is a metaphor, which means the desire of easy sharing of swimming through the waves of life. This composition may have different sizes and color combinations. The composition of chocolates "Swans"
Perfect wedding gift - a pair of gentleSwans, made using sweet candy. 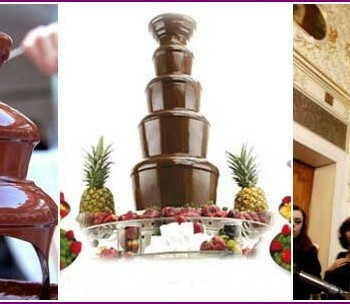 Such a surprise for a long time will delight the newlyweds in their appearance, and then give a very tasty delight. In most cases, the swans used white candy "Rafaello", decorated with small feathers. The composition may be supplemented with live or artificial flowers. The main role is played by candy. During the selection, pay attention to shape, taste, wrap design. Your work will be judged not only by the originality and beauty, but also to taste. It is better to choose such sweetness that like him to whom the composition is intended, or buy your favorite. Sweets may have a different shape, which gives the searoom for imagination. However, the most versatile circular or semi-circular considered that look great with any method of attachment. 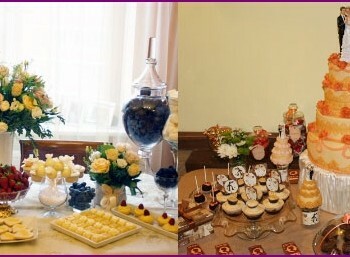 It is interesting to look at wedding compositions Chocolate medals, Chocolate figured suitable for thematic celebrations. Do not buy a pastry covered with icing, because during operation they might melt. 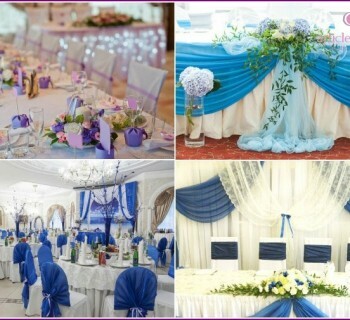 When the wedding decor composition comply with the measure, or too much tinsel spoil the whole look. The composition of the wedding should have clear boundaries. 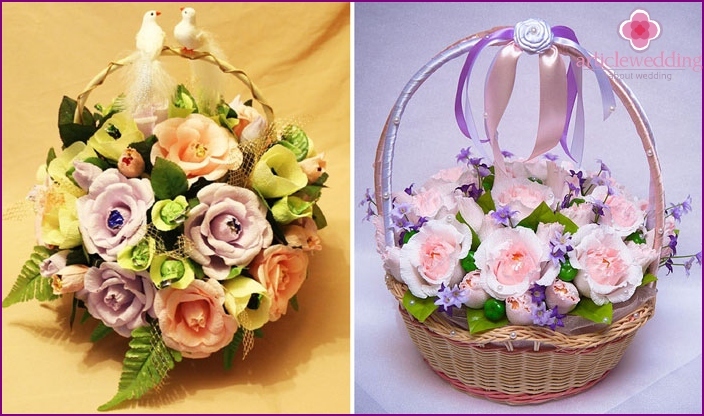 An excellent material, in addition to the chocolates are spikes, branches and grass, if you make a basket or bouquet. All of the compositions of the wedding should be freely positioned. Each element should be combined with the rest of the shape, size, color, that the image was complete and finished. Harmonious looks combination of two colors, whereone plays the role of the primary, and the other - optional. The main color is better positioned in the center, and it should be brighter than the additional. Two saturated colors should be avoided, otherwise the composition will be cut as a result of oversaturation of the eye. If you use the extra paper, choose no more than three colors. You can combine matte and shiny, transparent material. Sami candy, you can hide in any bag: suitable for both native and other interesting wrapper. The composition is made using several varieties of sweets, where you can combine luxury chocolate candy with caramel cheaper. If you want to make sweets kind of colors, you should use the wrapping, corrugated, paper, silk, organza floral, felt. If you are using an oasis, a porous spongefoundations, it is better to opt for dried flowers, such as the structure is more dense and better able to hold. Instead Oasis can use foam or Penoplex. All fasteners must be made aesthetically pleasing. The part that is hidden from the eye, decorate different materials. Wedding - a very happy, an important event in the life ofevery young family. Therefore, such a holiday would be desirable to present a very special, memorable gift. Sweet gazebo with candy - an excellent alternative to the banal delicacies box. In the master class, you can easily make yourself presented below such a composition. A small circle Penoplex, which will serve as a canopy gazebo, Wallpapers corrugated paper. Cut a circle of foam large diameter, which is the basis of the arbor. Divide into six wire spokes, which papered corrugated paper. Fold the spokes to give a dome shape. Fasten them with glue at the base of a snowflake. The diameter of the dome must be equal to the diameter of the base of the gazebo. 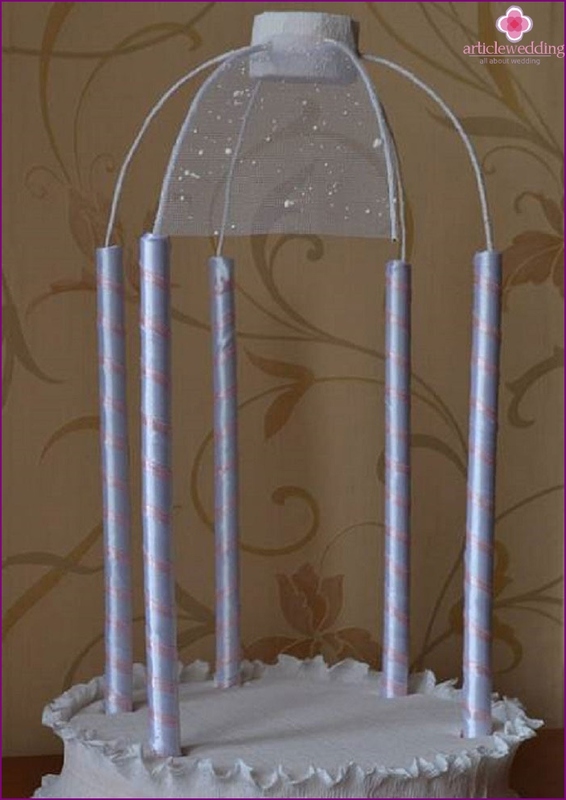 PVC pipes will serve as the columns that you want to wrap satin ribbons. Fasten dome in the pipe string. By spokes glue tulle. 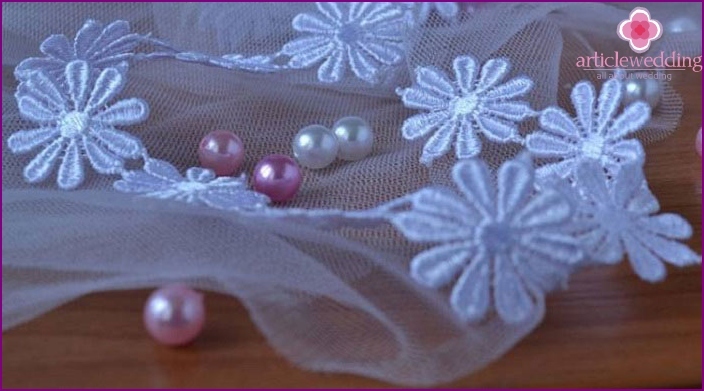 Decorate the gazebo lace and beads to your liking. 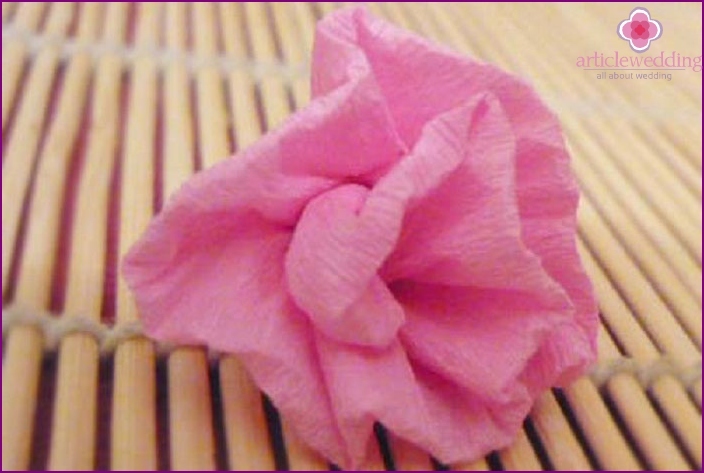 Using crepe paper flowers are forming, into which put the candy. We put in a bower newlyweds have around candy colors. Wedding arrangement, made with the help ofcandy - a great way to make the holiday more exciting, stand out. If this item is used as a decoration of the hall at the ceremony or the guest I decided to surprise the newlyweds unusual gift, the book decoration in candy - the easiest way out. However, much more interesting to create an attribute with their own hands. The main thing that it was in harmony with the overall style, reflecting the theme of the celebration. For a visual example, we give the video, which details the process of creating sweet candy bouquet.